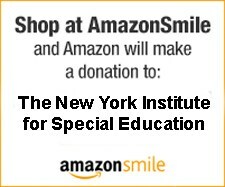 When you shop at smile.amazon.com, you’ll find the exact same low prices, vast selection and convenient shopping experience as Amazon.com, with the added bonus that Amazon will donate a portion of the purchase price to NYISE. To date, NYISE has received over $400 in support of our Annual Fund through this program! Thank you for supporting NYISE!